Kids spend more and more time in front of screens. These five tips will help you limit screen time for kids and find a healthy balance for the whole family. Silence is golden, unless you have kids. Then silence probably means that they’re on an electronic device. Sometimes this is exactly what us parents need to grab a shower or finish cooking dinner without constantly getting interrupted by sibling squabbles. I’m the first to admit that I’ve at times plopped my children in front of a movie when faced with an imminent work deadline and them running around the house like a herd of stampeding elephants simply isn’t going to cut it. Screen time is the one quick fix that works like magic every time. FaceTiming Grandma in Florida and occasionally watching age-appropriate TV-shows or playing a game on a tablet won’t harm a young child. However, using screens to distract and entertain kids can easily become a detrimental parenting crutch. And used too often, screens can come with some negative side effects for your child. In the long run, this can cause the child to become moody and depressed, as well as more prone to social immaturity, learning difficulties and tantrums. Dunckley, who is an expert on the effects of screen-time on the developing nervous system, calls this type of dysregulation “Electronic Screen Syndrome.” Although ESS is not an officially recognized diagnosis, many parents and teachers have seen the symptoms of it first hand. For example, kids who have trouble focusing and are figuratively bouncing off the walls. 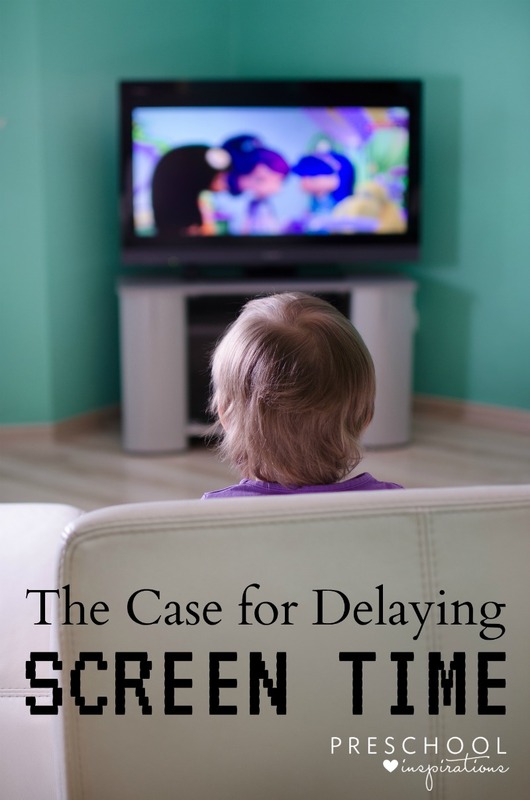 Screen media have no proven benefits for children under two years old. TV-watching has even been found to have a negative effect on cognitive development in children under three years old. This is why “educational” electronic products for toddlers, like the now discredited Baby Einstein videos, don’t work. The American Academy of Pediatrics (AAP) recommends no screen time at all for children under 18 months. The exception is video chatting with distant relatives. Once you do introduce screens in your kids’ lives it’s important to know what they’re watching/playing and help them make sense of it all. That doesn’t mean you have to hover over your child as she’s watching the same Sesame Street episode for the gazillionth time, so you should still be able to sneak in some time for that shower. The AAP recommends that children from two to five years old stick to high-quality programming and don’t use screens for more than an hour per day. Some of our favorite high quality screen time apps are Reading Eggs and Hale’s Tale. Replace screen time with green time. If screens give children endless hours of effortless entertainment and instant gratification, outdoor play is its polar opposite. Outside, kids have to use their creativity and come up with their own games and activities to stay entertained. Outdoor play also comes with a range of benefits that can counteract the negative effects of too much screen time. Designate media-free times and locations. As many as seven out of ten children in the U.S. have a TV in their bedroom. Those who do, spend more time watching than those who don’t. Consider making bedrooms and other parts of your home screen media free. Reserve a part of your day or evening as screen-free family time. Most importantly, model the behavior you want to see in your children by restricting your own screen media use. This is maybe the most important part of all – and for many parents also the hardest. 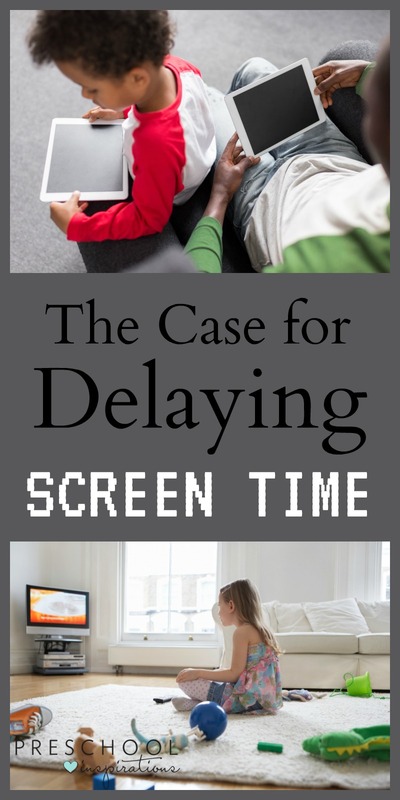 How do you handle screen time for kids? Any tips you’d like to share? Hi, is it possible to get a reader friendly version to print? Without the ads? I am a teacher and would love to share this with my class parents. Hi Katia! Sure, I will e-mail you a copy :).